January and February can be so cold and unpredictable we can barely wait for March to spring us into warmer weather. How sweet it is when those first warm days start perking us up and allowing us to be out and about. 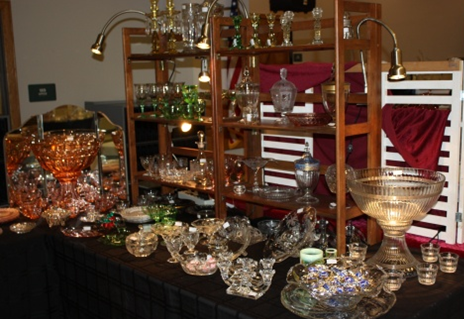 March 18 & 19, 2017, will be prime time to locate the perfect gift for your special someone at the All-Heisey Glass Show and Sale. Our display this year is showcasing Heisey candy jars and who doesn't like candy! Get your $1.00 off show card below or in the Chamber's January ENDEAVOR News Magazine. 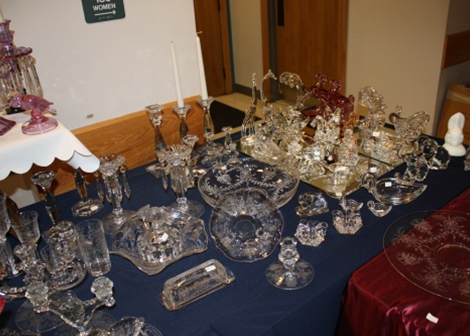 Mark your calendars and start making your gift list for the All Heisey Antique Glass Show. 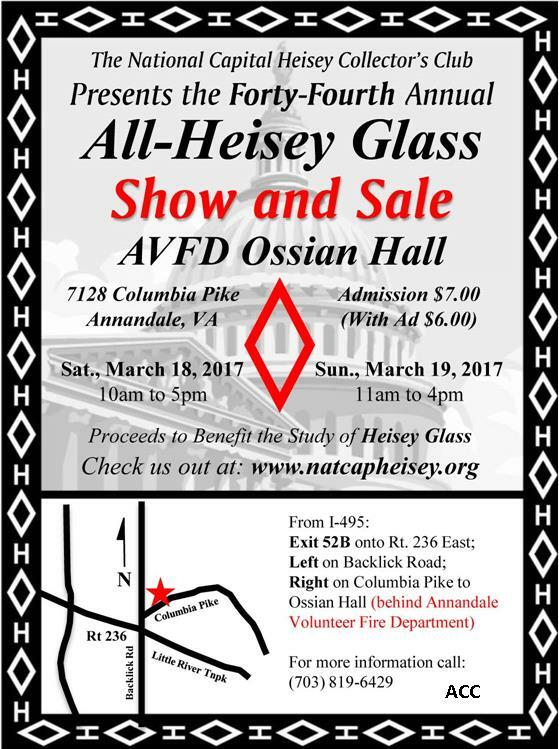 The National Heisey Collectors Club has announced that their Forty-Fourth annual show will take place at the Annandale Fire House on Saturday and Sunday, March 18 and 19, 2017. Preparations begin long in advance, as dealers from all over the country participate. 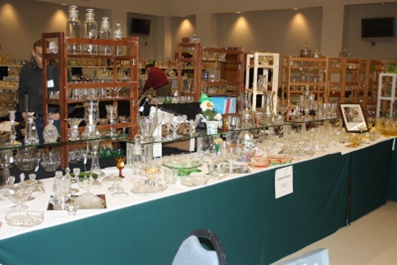 Coordination of this effort is handled by a committee of dedicated volunteers including Sherry and David Warren, Annandale property owners, avid collectors, and members of the Annandale Chamber of Commerce. 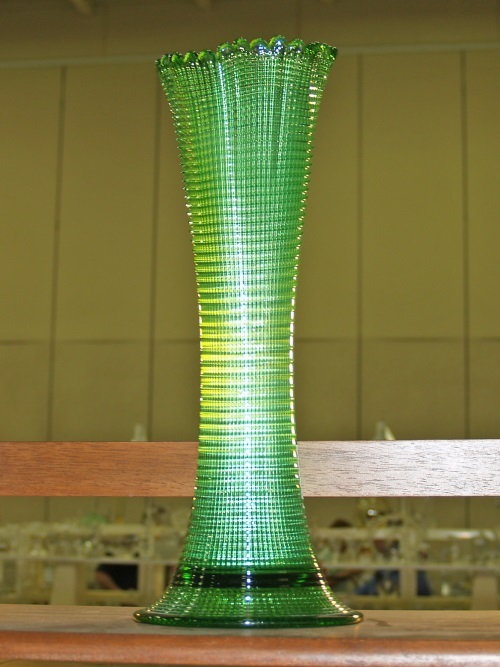 What is Heisey glass? 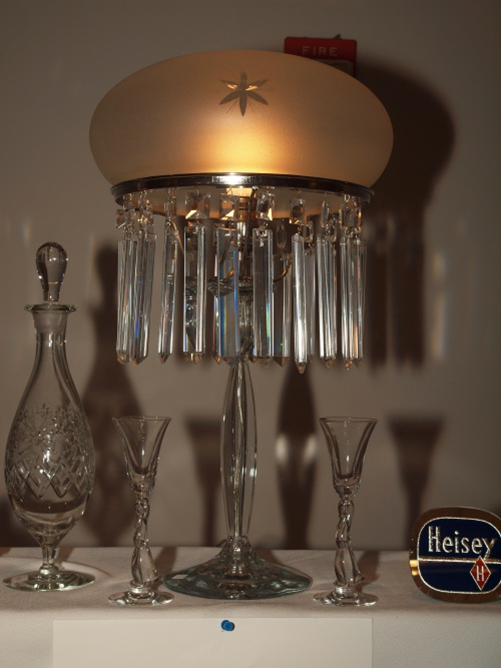 A.H. Heisey & Company began operations in Newark, Ohio, in April 1896. 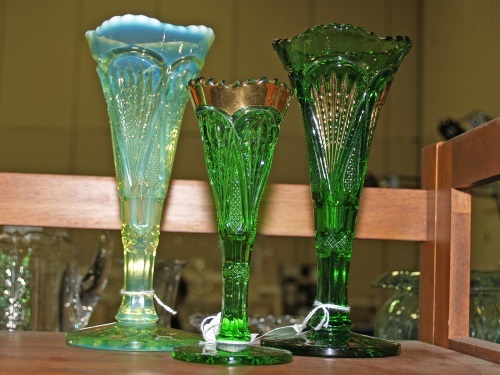 For the next sixty-two years, they produced some of the highest quality glassware made in American for both the household market as well as the commercial market. One of their major retailers was Marshall Field’s in Chicago, not far from their Midwestern manufacturing facility. 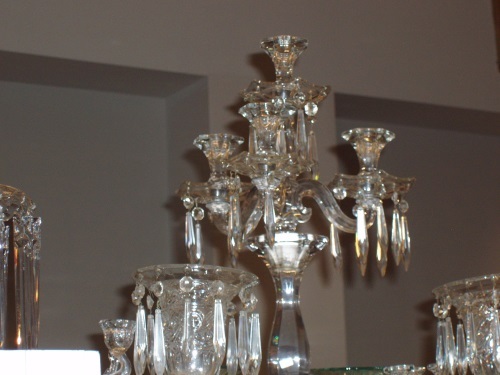 In addition to clear crystal, the company offered an array of colors, and were equally admired for the artistry of their cutting and etching departments. 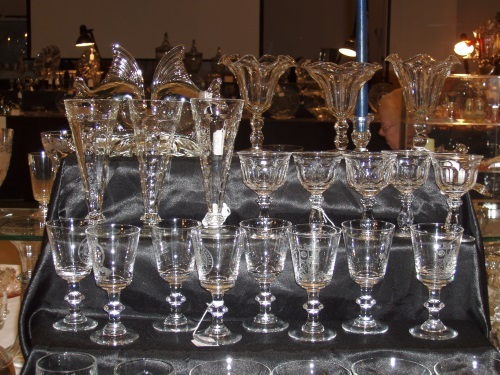 In November of 1900, Heisey began using the famous Diamond_H trademark, which appeared on every piece of glassware sold by the company, either in the form of a sticker or actually impressed into the glass. 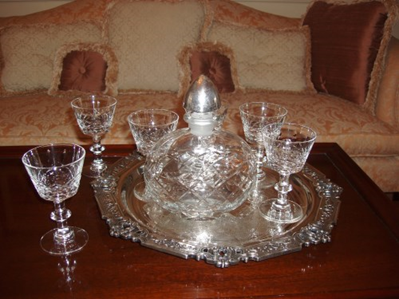 In the early 1950’s a stunningly delicate and exquisitely etched pattern, known as Orchid, was produced. 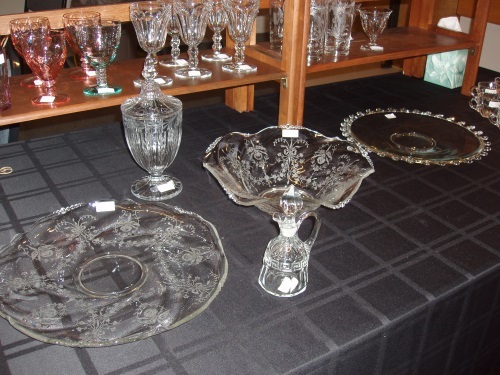 From stemware to cake plates, from bowls and serving pieces in multiple sizes, to decanters, dresser sets and candlesticks, this pattern became the number one wedding crystal in America. 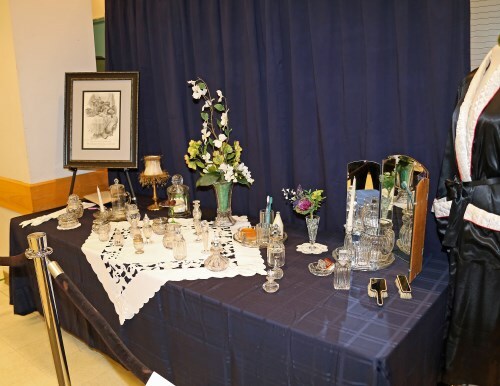 It has the luxurious look you’d expect on the dining table at Downton Abbey, yet at very affordable prices. 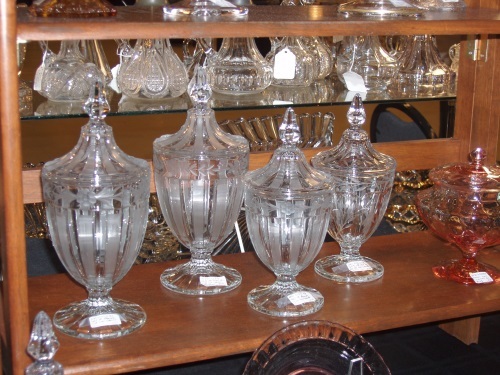 About price...Heisey sells for about half the retail of other quality crystal. It is refreshingly affordable for such gorgeous quality. Unfortunately, in December 1957, Heisey went out of business, a victim of the economy. 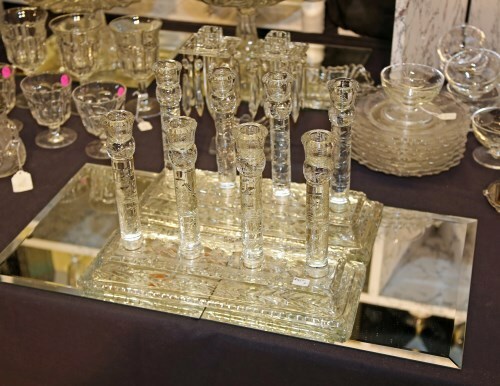 Other companies acquired several of their molds and produced pieces in crystal and colored glass for another thirty-one years. Both Sherry and David extend their gratitude to the Annandale Community, Supervisor Gross, the Annandale CBD Planning Committee, the Annandale Women’s Club, and especially to the Annandale Chamber of Commerce who extended them both a warm welcome, and helped to make the last show an overwhelming success. 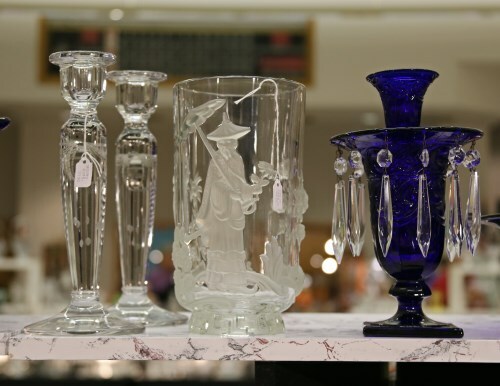 Attend the show, see the displays; talk with the dealers to learn about Heisey glass; and, buy that wonderful piece to enhance your own home or to fill your gift closet. Photographs are from the Annandale Chamber of Commerce photographic archives and not available for reuse.